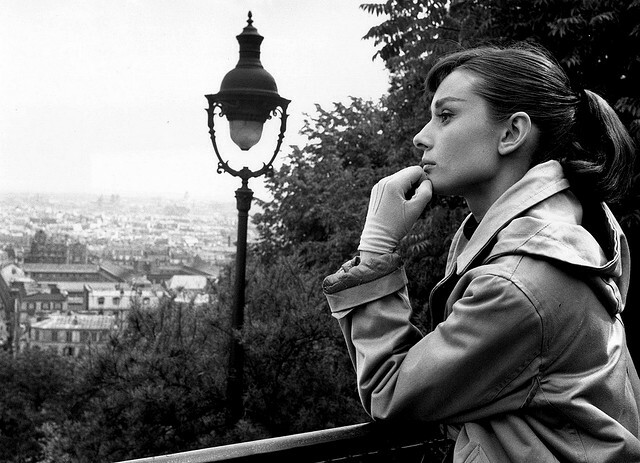 These filmmakers were way ahead of their time in creating art films. 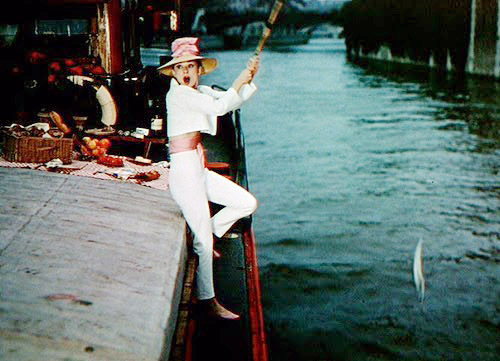 A visual collage in each scene, and this a backdrop for Givenchy’s designs including the classic “Audrey look” debuting in this film. 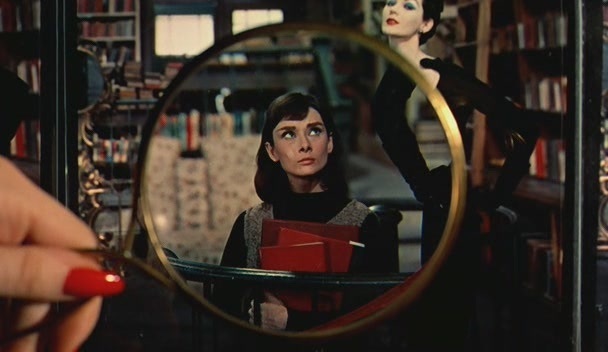 From New York’s quaint village bookstores to the picturesque streets and sights of Paris, each scene sets the stage for this film to show off the visual allure of the fashion industry while simultaneously preaching a unique feminism that attempts to promote brains before beauty. 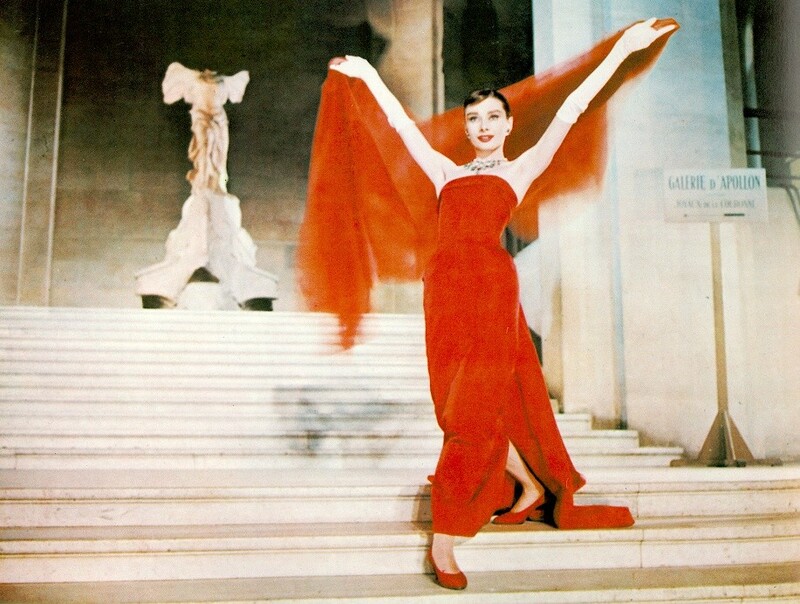 While that non-traditional perspective for that era surfaced, Audrey played the girl with the “funny face” which made her eternally iconic. Under the flattering pink glow of Parisian city lights, a romance with fashion and more so with the city itself flourishes. What Audrey and her famous dancing counterpart lack in romantic chemistry they somehow make up for in breathy swooning endearing moments which turn out rather “swonderful” in the end.